Don’t miss out on the L/Certified Fall Collection Sales Event! 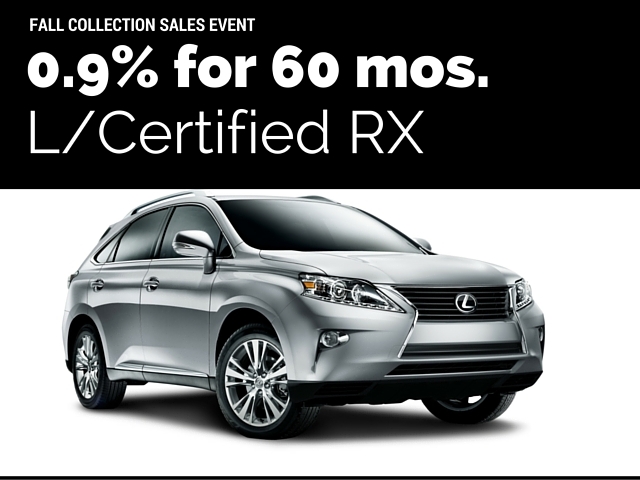 Now thru November 2nd, take advantage of 0% Financing up to 60 months on any L/Certified GS and 0.9% financing up to 60 months on any L/Certified RX or ES! 0.9% Financing for 60 months! See more at NPLexusDominion.com or call 210-816-6000 for details on the L/Certified Fall Collection Sales Event!